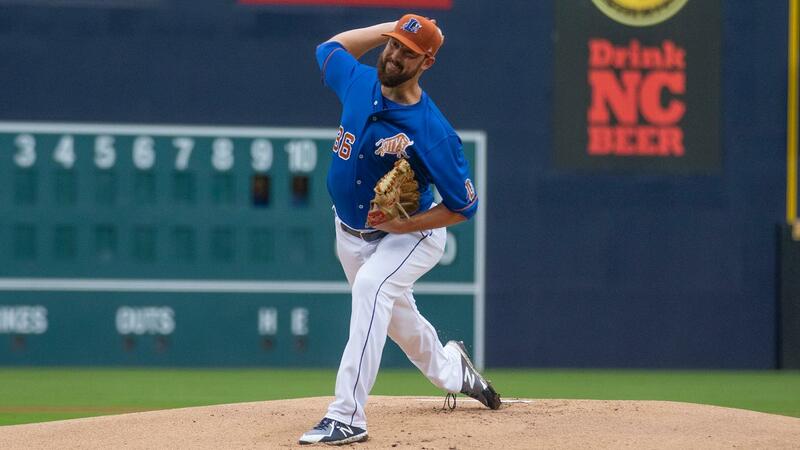 DURHAM, NC - The Durham Bulls dropped both ends of a doubleheader to the Columbus Clippers Tuesday night at the DBAP, falling 2-0 in Game One before dropping the second contest 3-0. In Game One Adam Plutko (6-3) was dominant for the Clippers, spinning six innings, striking out eight and allowing just four hits to lower his ERA to 1.82. The right-hander was backed by a Yandi Diaz sacrifice fly in the top of the first inning and a solo homer by Eric Haase in the fifth, before Tyler Olson locked down his first save of the season with a scoreless seventh. Kyle Bird (1-1) was the tough-luck loser for Durham, allowing an unearned run across three innings, before Austin Pruitt allowed the Haase homer over his three innings of relief. After a rain delay pushed back the start of Game Two, the Clippers - playing as the home team - jumped out to a first inning lead for the second time on the evening when Greg Allen cracked a leadoff home run. After trading three scoreless frames Columbus plated a pair in the fifth, putting Durham in a 3-0 hole. The Columbus pitching staff again made the slight advantage hold, as Stephen Fife (3.0 innings), Evan Marshall (1.0), Josh Martin (2.0) and Ben Taylor combined to hold the Bulls scoreless for the second straight game, with Martin (3-0) picking up the victory. Forrest Snow (5-6) took the loss, allowing one run over four innings on three hits, despite striking out five and walking none. The three-day, four-game series continues Wednesday at the DBAP with first pitch scheduled for 7:05 p.m. RHP Ryan Weber (6-4, 2.17) will take the mound for the Bulls opposite RHP Shao-Ching Chiang (3-2, 4.75) for the Clippers.